Political show of strength continues for the PML-N even after the Panama verdict has been announced. 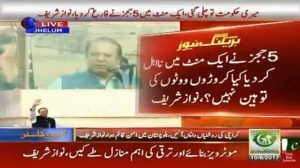 Former Prime Minister and former chairman of PML-N, Mian Muhammad Nawaz Sharif, remained the leader and highlighted figure as the rally carried him as far as Jhelum. 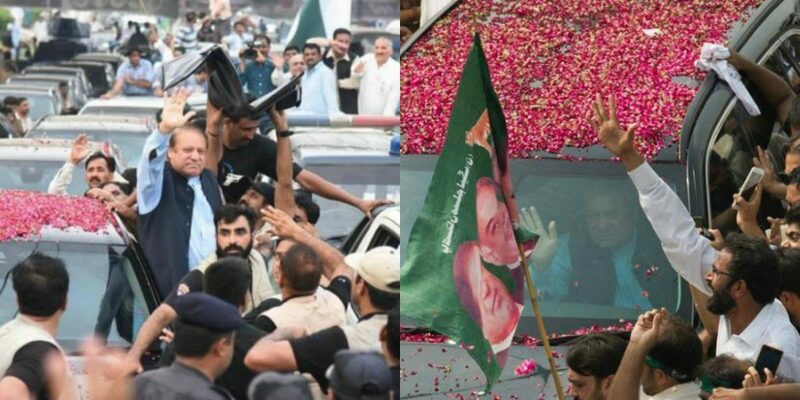 In a mixed and controversial series of events, it was being claimed the Nawaz Sharif’s car sped along its route, leaving behind its protection, rally, and party workers because of a news that some “individuals” had taken Saad Rafique into custody (as reported by BBC Urdu). Upon reaching Jhelum the former chairman gathered strength to deliver a speech outside his container. Nawaz Sharif recited everything he said when he delivered his first press briefing alongside his party members after stepping down. He boasted about solving the energy crisis and reducing pressure on youth by increasing the employment rate. CPEC was once again brought forward as the biggest and shiniest trophy among his cabinet. People rejoiced as they listened to their former leader deliver, what most analysts are calling, his farewell speech. People continued to listen as Nawaz Sharif attacked the Supreme Court by presenting its verdict as “unjust for the majority of people who voted for him”. He justified his stance by speaking against retired General Musharraf and how he never could be caught by the apex court. 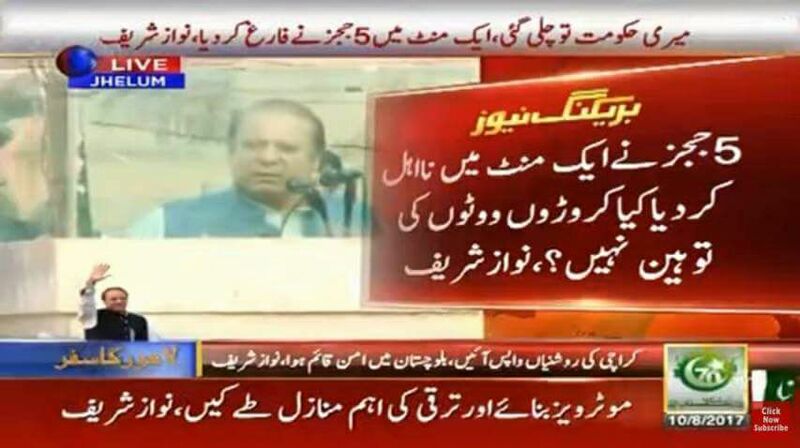 It should be known that during Musharraf’s trial Nawaz Sharif was in power, yet he complains about SC’s unjust policy when it comes to reprimanding dictators. Interestingly, Nawaz Sharif denied all corruption charges and told the public that there are none and his only reason for disqualification was to “not” take a portion of salary from his son. 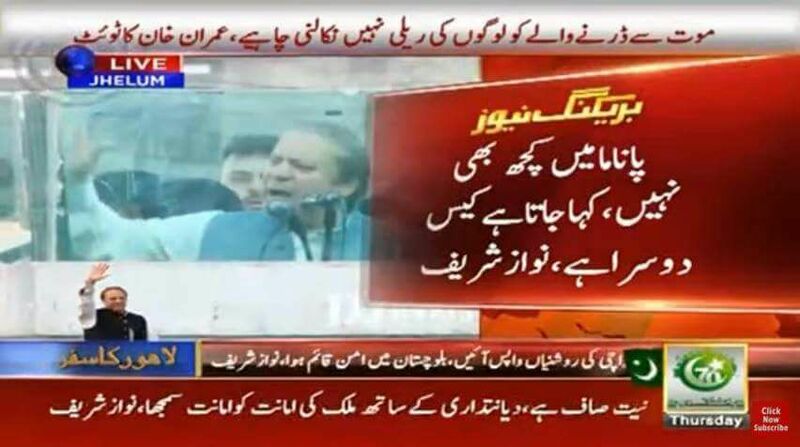 Let this be clarified right here that the Supreme Court did not rule out Nawaz Sharif on any of his alleged corruption charges regarding Hudaibiya Mills, Ramzan Mills, London flats and everything else because a simple disqualification was too small a punishment. However, his presence of Iqama (registered in 2008 when he was in Pakistan) and evidence of one salary not being mentioned is something that completely justifies his disqualification according to the Constitution. These two interlinked reasons are enough to disqualify a Prime Minister. NAB has been ordered to take control of the rest of the allegations in a trial court that the Sharif family would be defending. 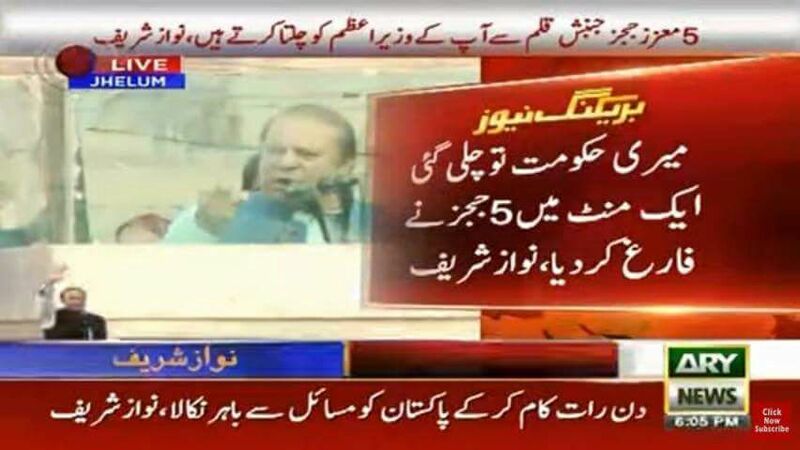 If proven guilty, not only would Nawaz Sharif be declared corrupt, but he can face a jail time as well.